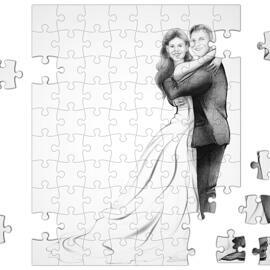 Get a beautiful Wedding Cartoon Drawing in Monochrome Digital style drawn from your photos. 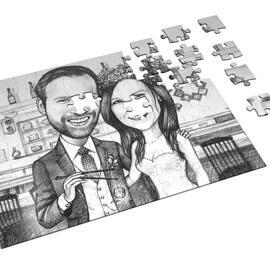 Our talented artist can create Wedding Cartoon Drawings whether form your original wedding photograph or simple photos of you both by adding some specific details. 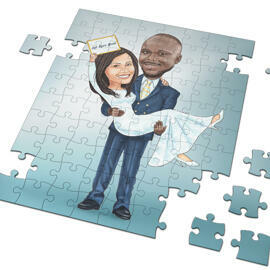 The usability of your Wedding Cartoon Drawing is multifunctional. 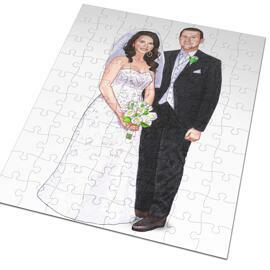 Thematic Drawing will be a nice budgetary and personalized wedding gift for a bridal pair. 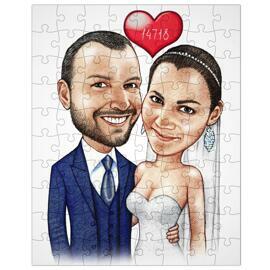 You will be able to use the drawing for a perfect Wedding Invitation or a Romantic Gift to your loved one. 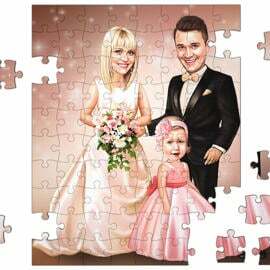 You can also order Digital Wedding Cartoon for Wedding Ceremony as an appropriate Big Wedding Poster where guests could write and draw some pleasant wishes for a bridal pair. Ordering is simple. Select the number of person and describe your ideas in the requirements box below. 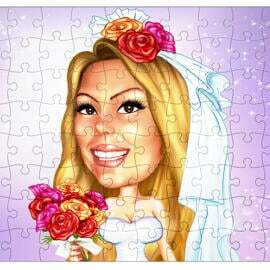 Your Wedding Cartoon will be emailed to you as a high resolution JPG file.